Google Voice is a popular service within the US, providing a single phone number to anyone which can then connect to land lines or cellphones, offers visual voice mail, forwarding, SMS, and more. Up until now, it's been easily integrated only on Android devices, while people wanting to access the service on the iPhone were left out in the cold, until a few third-party apps started appearing last month. In fact, Apple famously denied (or rather, "didn't approve") the Google Voice app back in 2009, and it's been sitting there in the App Store review queue for 16 months. 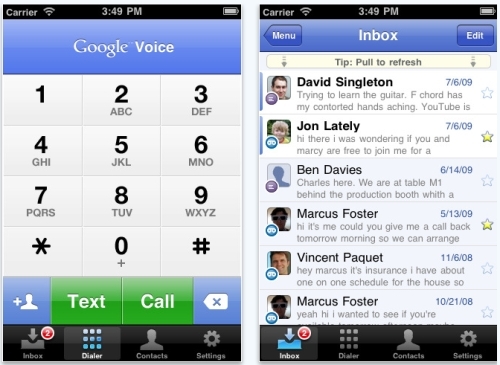 However, things changed today when the official Google Voice app was finally made available in the App Store. From it, you can make free calls using the service, access your voicemail, send and receive SMS for free, and more. Of course since this service is only available in the US, so is the app. You need to setup a Google Voice account to use it, but both that and the app itself, are free. 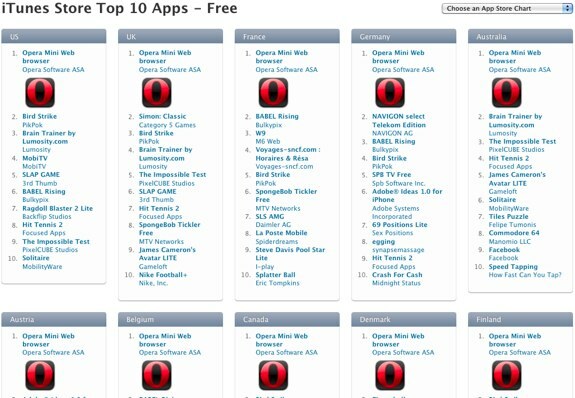 Surprise, surprise - looks like iPhone and iPod touch users the world over are downloading the recently-approved Opera Mini app, a free Safari web browser alternative. In fact, it’s so popular, that it’s the number one free download in all 22 App Store regions. Have you tried it? Looks like Apple isn’t the only company looking to capitalize on the iPad hype in order to sell eBooks. 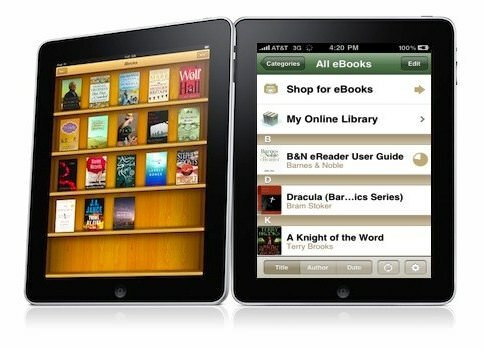 Barnes & Noble has just made it public knowledge that they plan on releasing an iPad-optimized version of the B&N reader app, with the goal being to have it ready in the App Store on day one. We must say, we like it. In fact, this may cement the iPad as the best reader device around, because you’ve got the B&N app, the Kindle app, and of course, the Apple iBooks app as well (among others.) This means that you can purchase a book in any of those three ebook marketplaces, and read them all on your iPad. That’s something you just can’t do with a Kindle or nook. 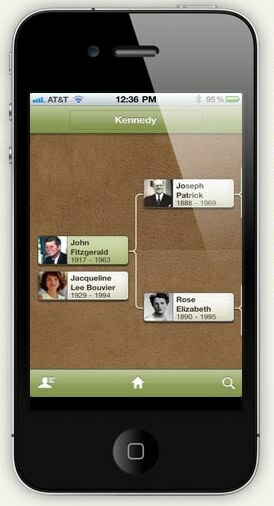 Let’s just hope that Apple doesn’t give these apps the same treatment that they’ve given to others, like Google Voice. It took Apple a while, but finally, in-app purchases are allowed to be used in free apps. Why is this exciting? 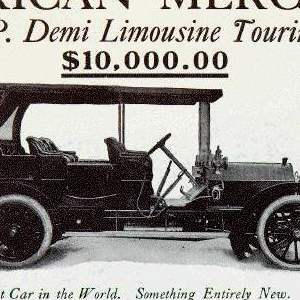 Well, previously, only apps that had a price were allowed to include an in-app purchase model. 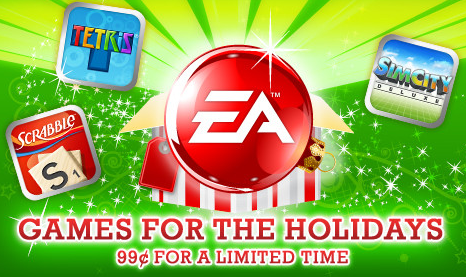 That means that games like Tap Tap Revenge 3 has to cost at least $.99 if the developer wanted to sell you add-on packs. This is also the reason that you see so many demo, or “Lite” versions of apps in the App Store. 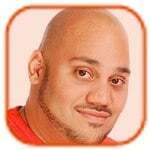 Now, you can download a demo version of an app, and upgrade to the full version while playing the free version. We’d love to see apps like Shoot It! get on board with this as well, as we think the freemium model is the sweet spot in the App Store. Hey, streaming subscription music fans, it looks like Spotify has finally been approved by Apple, and it will be appearing in the App Store shortly. You may not realize how big a deal this is at first glance, but trust me, this is huge. Spotify is a service that gives you all-you-can-eat access to music for a set fee each month. The app appearing on the iPhone and iPod touch means that you can use another store besides iTunes to listen to, and download, music. Yes, Spotify even lets you listen to downloaded tracks if you are offline. This is a game-changer, and we look forward to getting our hands on Spotify once it is released! If you had any doubt of the success of Apple‘s App Store, the fact that one billion apps have been downloaded in nine months should be enough to change your opinion. 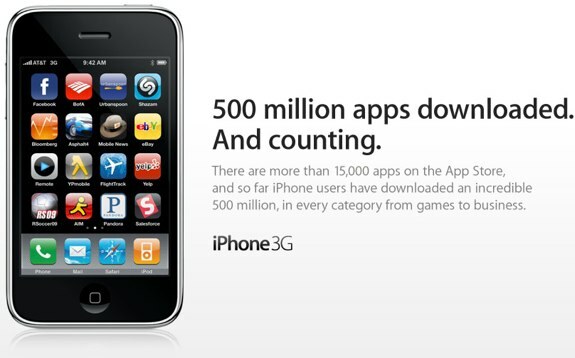 At 1:52 pm today, the App Store officially sold its 1,000,000,000th app for the iPhone and iPod touch platforms. As exciting as that is, we have the iPhone 3.0 SDK currently in beta, which will allow apps with new capabilities that aren’t yet available. Exciting times. install. Case in point, the new Fandango app. 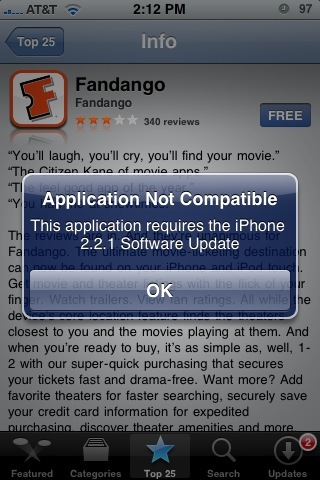 If you try to install it on your 3.0-enabled iPhone, you’ll get a message telling you that the application isn’t compatible, and that it requires the iPhone 2.2.1 software update. We aren’t feeling that, because we wanna get our Fandango on! Let us know if you find any other apps that choke on iPhone 3.0. Update: Looks like the problem here is with installing from the App Store directly on the iPhone. We just tried downloading and installing Fandango using iTunes, and it works swimmingly. Keep that in mind. Okay, look, if you are still a hater who is of the mindset that the iPhone is no big deal, today’s news out of Apple should seriously put all that to rest. This morning, the company announced that there have been 500 million apps downloaded from the App Store. With all the iPhone and iPod touch owners out there snapping these things up, it really comes as no surprise to us - especially considering that you can get some really great software for free, or for as little as $0.99. Good on them, we say. Now can we get a few more pages allowed in the iPhone home screen area? We are three downloads away from completely filling our 9 pages, no doubt.